As you drive around after a snow storm, what is the number one thing you are bound to see? Other than snow, of course? It will be a snowman or some version of the snow people ‘world’. The best thing about these snow people children create, is that not one is exactly alike. If you look from afar, you might be able to pick out some very similar ones. Upon closer evaluation, there are multiple differences. Not every kid will use carrots for a nose, or buttons for the eyes. They have blue eyes themselves, so why can’t the snowman match theirs? Their logic is pretty solid. The key here is to emphasize, that crafts involving snowmen do not always have to be perfect. Snowmen do not have to be built of 3 perfectly round balls of snow. 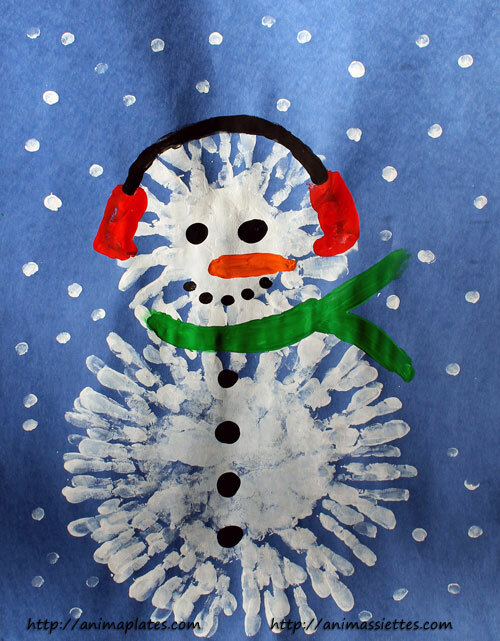 If you have already watched our video on the finger painting snowman craft, then you might be able to predict where this is heading. 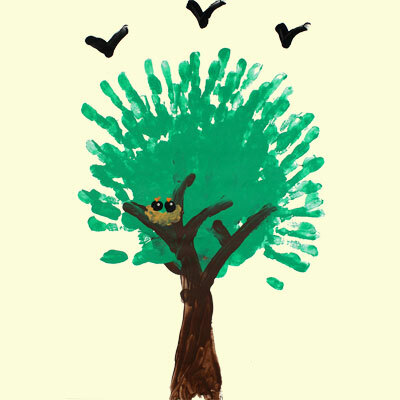 Just possibly, you are already imaging what a child can do with their little minds and some paint. They can easily give a personality to a painted snowman during Winter. Even closely matching that of the children, if you search it hard enough. With the right set of paints, this Winter project is great for large groups as well. You can’t do much outside during the birthdays of this season. A craft like this would give the whole party something to do and something to take home. Could even replace some of those goodie bags everyone likes to hand out. Because you know, having a snowman created by the hands of many is always better than one doing it alone. While we use the typical colors in the video, you don’t have to. 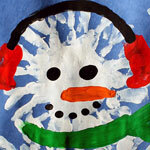 Let the children pick and choose what colors they would like their scarves and earmuffs to be. I imagine, some little girls with have bedazzled scarves with fingerprints of pink and purple. Don’t let the project be stifled by a ‘must-do’ mentality. This is just a base to get anyone started, just like the original Frosty started years ago. Overall, it’s important to remember what finger painting teaches children. It’s a great way to enhance their creativity but it also helps with hand-eye coordination. More so, with younger children than older. If you are seeking this type of craft for an older set of children, don’t worry. You can easily maneuver this to be great for older children. Have several sheets at the ready and turn it into a team building exercise. See what they can come up with together and how large it is. Making a game out of it will get any child or even adult involved in the fun.